Clinton vs Trump – who's the winner for medtech? Compamed and Medica have shown it’s apparent that once again the showcase for the medtech and healthcare sectors do not fail to disappoint. It’s a great time to be involved in the medtech sector and this year’s exhibition had some exciting technology to share with visitors. 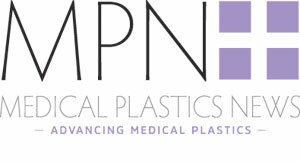 Innovation for the medical plastics device industry moves at a pace and this year’s event promised solutions for the medical device maker to improve manufacturing processes as well as the quality of devices destined for end use by the likes of you and me. As always 3D printing is a key technology for the sector and at this year’s event provided some exciting developments on show. I was also looking forward to seeing new trends in lab-on-a-chip, implants and soft robotics. Of course with our sister title Digital Health Age, I’m always keen to find out about the latest offerings in the digital health field and witness its positive effect on the device industry. Compamed and Medica are shouting about digital health this year – hardly surprising given the rate of uptake of this technology in healthcare systems across the world. The benefits of drug delivery in a home setting are well documented and the growth for this area of healthcare is encouraging for the longterm expansion of the industry. As the upward trend for the use of digital devices continues this of course has great potential for device manufacture. According to Research and Markets, the “global market of digital health is up surging with a significant rate, due to increasing demand for advanced healthcare information system, and growing investments”. There’s no surprise that technology is leading the way in medtech. As healthcare sectors recognise the need to streamline processes and offer patients improved care and outcomes, digital health is the answer. This is fantastic news for the medical device sector. It's a sector where technology excites. I’m looking forward to finding out what’s next in the technological pipeline.